One hundred and forty years after the Paris Commune, similar demands for democratic change resonate strongly in Spain. Recent mass mobilisations show the Spanish people have had enough of politics that serve only the interests of a few, while public interests are subordinated to the profit imperatives of big business. Perhaps it’s one of history’s surprises that the popular uprising surging through Spain (and which is beginning to reverberate throughout the rest of Europe) was sparked on the 140th anniversary of the Paris Commune, a heroic moment in which the fundamental demand was also that of democracy. But a democracy conceived as a government by, for, and of the people, and not as a regime serving the interests of patronage and in which the people’s interests are inexorably subordinate to the imperative of business profits. This is precisely the reason that the demands of the “indignant” resonate in a way that immediately brings to mind those who, with weapons in hand, came out to defend Parisian women and men during those heroic days in 1871, culminating with the constitution of the first working-class government, albeit one restricted to the confines of the city of Paris. A government that lasted barely more than two months and was later smashed by the French army, with the open complicity and cooperation of Bismarck’s troops, which had just inflicted a humiliating defeat on the heirs of Napoleon’s armies. The cruelty against the Parisians who’d dared to storm heaven’s gate and establish a true democracy was terrible: it’s estimated that more than 30,000 members of the Paris Commune were put to the sword, in summary executions without trial. The Paris Commune was drowned in a river of blood, and to atone for its “crimes” the National Assembly decided to build the Sacré Coeur cathedral on the most prominent hilltop in Paris, at Montmartre, with funds collected from public donations throughout France, to honour the Parisians. Only a tiny amount was collected from the martyred city. Paris was defeated, but the Parisians were not brought to their knees. 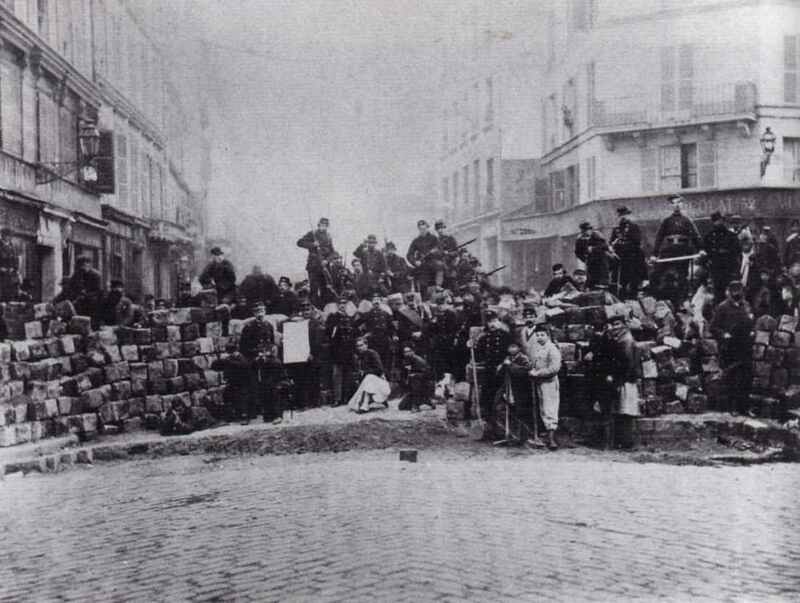 The Paris Commune did not believe in bourgeois institutions, viewing them as incurably deceitful, because it knew that this cumbersome framework of laws, norms and governmental agencies was solely concerned with consolidating the wealth and privileges of the dominant classes and with keeping the people under submission. It demanded direct and participatory democracy and the repeal of parliamentary government, that vicious warping of politics turned into a black hole of thievery and all kinds of compromise and negotiation completely foreign to the wellbeing of the majority. It demanded the simultaneous creation of a new political, executive and legislative order, based on universal suffrage (men and women treated equally, not as later occurred in democratic capitalism where “universal” referred exclusively to males) and with representatives who were directly accountable to – and removable by – their constituents. The members of the commune wanted a real democracy, not a fictitious one, in which the representatives of the people such as those in a state bureaucracy would not enjoy any kind of privilege at all and would be paid the same wage as an average worker. And other things, such as a lasting separation between church and state and universal free, secular and compulsory education for females and males alike. Just a glance at the documents from the ‘indignant’ of today is enough to show how surprisingly similar they are to the demands from the Paris Commune and how very little capitalism’s policies have changed. The young and not so young who have occupied some 150 plazas in Spain are not “apolitical”, or “anti-political”, as a certain press would have us believe, but people who are profoundly politicised. They take the promise of democracy seriously, and this is the very reason that they rebel against the false democracy that sprang from the bowels of Francoism and was enshrined in the highly touted Moncloa Pact, paraded before Latin Americans as an act of exemplary democratic political engineering. It is a democracy that those camped in the plazas denounce as a hoax, a sham that hides a persistent cruel dictatorship under its perfumed robes, a dictatorship that discharges the burden of the crisis unleashed by the capitalists on the shoulders of the workers. What the “exemplary” Moncloa democracy proposes as a way of confronting the crisis is market despotism, the irreconcilable enemy of any democratic project: by facilitating worker layoffs, salary reductions, slashing labour rights, freezing pensions and raising the retirement age, cutting public employment, health and education budgets, privatising governmental businesses and programs and, to top it off, reducing taxes still further on the wealthy and businesses so that the excess money might be invested in new undertakings. Once again, the famous and endlessly refuted “trickle-down theory”, which takes people for idiots and does not take into account that if the rich have more money at their disposal it would take a miracle for them not to succumb to the temptation of the global financial casino instead of investing in the creation of new businesses that would generate new sources of employment. Experience shows that the temptation is too great. The response from false Spanish democracy – in reality, a sordid plutocracy that the young people in Spain want to overthrow and replace with a democracy worthy of the name – to the crisis provoked by the insatiable greed of the bourgeoisie is to extend capitalism by applying IMF prescriptions until a society bled and drowned in despair and misery will accept a “neofascist solution” to reconstitute the lost order. No change is possible within Spanish pseudo-democracy because its famous bipartisanship has proven to be nothing more than the two faces of a single party: that of capital. But now the collusion between the Spanish PSOE (Socialist Workers’ Party) and the right-wing Partido Popular has run up against an unexpected obstacle: encouraged by the winds crossing the Mediterranean from North Africa, the young people – the main but not exclusive victims of the pillage – “have said ‘Enough!’ and have begun to march,” as Comandante Ernesto “Che” Guevara once said in his famous speech in 1964 before the U.N. General Assembly. Now nothing in Spain will be the same again. The disparaged political class seems to have reached the point of no return and the crisis of legitimacy within its pseudo-democracy has reached unfathomable depths; if Egyptians and Tunisians were able to rid themselves of their corrupt ruling cliques, why wouldn’t the “indignant” be able to do the same? The obscene ethical incoherence of the true dean of the Spanish economy, the IMF, can only result in the irritation and mobilisation of increasingly large numbers of citizens; citizens who are suffering from all kinds of cuts to their incomes and labour rights while the IMF bandits decide to award Dominique Strauss-Kahn a severance payment of US$250,000 because he stepped down ahead of time … for having been involved in the serious crime of sexual assault on a female African worker in a New York hotel! In addition, he will enjoy a luxurious retirement that is denied to millions of Spanish and European citizens in Portugal, Greece, Ireland and Iceland … And these are the people who say they know how to get the world out of the worst economic crisis in its history! The “indignant” need not have read the Marxist classics because life has taught them that under capitalism there is no possible democracy and that capitalism is incurably antagonistic to democracy. History has pronounced its unassailable verdict: more capitalism, less democracy, in an opulent and industrialised global North as well as in a global South. Life has also taught them that when they combine their efforts, organise and educate themselves in debating ideas in order to overcome the dumbing-down of the masses programmed by capitalism’s cultural industry, their strength is capable of paralysing party bureaucracy and putting in check the pseudo-democracy with which they’ve been deceived. If they continue in their struggle, they will also defeat the arrogance of capital, and eventually, begin a new stage in history, not only in Spain but in the rest of Europe. People throughout the entire world have their eyes set on the streets and plazas of Spain, where a decisive battle is beginning. 1. It’s worth remembering that Germany and the United Kingdom introduced women’s suffrage at the end of the First World War, in 1918. Austria did it in 1919, the United States in 1920, Spain in 1931 and France in 1944. 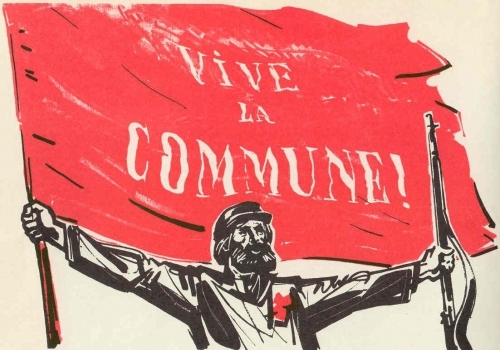 Seventy-three years after it was decreed by the Paris Commune! In Italy, it was achieved in 1946 and in Switzerland, every so often held up as the great democratic model, in 1971! 2. Vincenc Navarro, “El movimiento democracia real ya y la hipocresía del establishment mediático” [The Real Democracy Now movement, and the hypocrisy of the media establishment] available at www.rebelion.org/docs/128839.pdf. Atilio Boron is an Argentine political scientist and sociologist. He has been a professor of political and social theory on the Social Sciences Faculty at the University of Buenos Aires since 1986. He is a senior researcher at CONICET (Argentina’s National Council for Scientific and Technical Research). This article first appeared in Spanish on his blog – AtilioBoron.com and in English on the tlaxcala-int.org website.